When it comes to a flea infestation affecting your dogs, you will want to turn to flea control products for dogs that will stop the fleas in their tracks. Fleas can reproduce very quickly and are difficult to kill without using the best oral flea control for dogs such as the Sentry, Frontline, and Flea Away products included in my oral flea control for dogs reviews below. The best dog flea control is one that acts quickly. My oral flea control for dogs reviews focus on products that can get a flea infestation under control quickly when signs of fleas are found on your pet. Even the best-rated flea control for dogs on other lists might not work quickly which means you would need to treat your pet for longer than necessary. Fast working products are the best dog flea control. 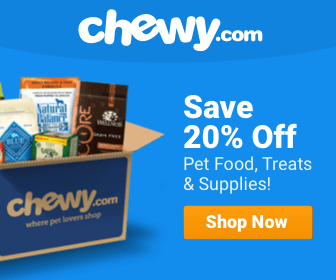 ​**Below, you'll find our reviews, but you can also click the links above to see current prices or read customer reviews on Chewy. **Disclaimer: Our pet medication reviews are based mostly on (1) our expertise and that of the experts with whom we consult and (2) the information provided by the manufacturers. We do test many pet medications (with our dog's help), but we can't test them all. As such, please remember the above recommendations are our opinions, and you should consult your vet before making changes to your dog's regimen. Here are some of the best orally administered flea control products. Read the reviews over and use a combination of products that kill fleas quickly and keep fleas away for a long time. By using products together that accomplish both of those things, you’ll have a flea-free household. This fast-acting medicine by Sentry is the cheaper alternative to Capstar, but it works just as well. The main ingredient used to kill the flea infestation is nitenpyram, and the fast acting flea tablets can start working in as little as 30 minutes. The dosages are easy to figure out; just buy the tablets that match your dog’s size in lbs. This medicine is meant to kill fleas that are on your dog when administered as well as those that might show up in the next 24 hours. It will get an infestation under control. If you want to also prevent future infestations, you should also use a topical medicine that repels fleas in conjunction with this medicine that ends infestations. 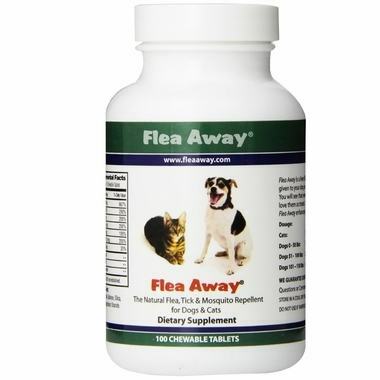 Unlike many oral flea medications that are only meant to treat flea infestations already underway, Flea Away is intended to repel fleas, ticks, mosquitoes to prevent the infestation from ever happening. 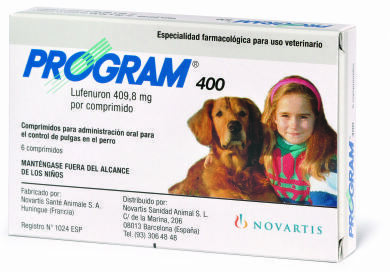 The vitamins in this product cause your pet to emit an odor that these annoying pests should avoid naturally. A fun bonus is that the vitamins should also help your pet’s coat shine! This completely non-toxic product can be used on its own if you want a chemical-free solution to flea problems, or it can be used as a supplement to more typical prevention and treatment oral or topical medications to ensure that your pet is 100% protected. It should be noted that this product will take some time to start working as it gradually builds up the immunity needed to repel fleas. 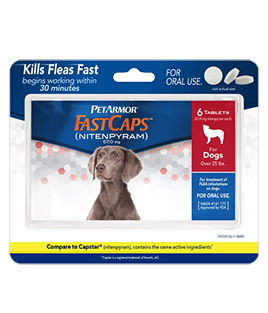 I know I mentioned only including fast working products on this list, but I believe using this product alongside more typical medications can be very beneficial in the long-term prevention of fleas on your pets. This is another great flea prevention product that works to prevent the long-term growth of fleas beyond the ones on your dog. This product also effectively kills eggs and larvae which means that you’ll have a flea-free dog for longer than with products that only use insecticides to kill any fleas currently on your pet. This product is good for both medium and large dogs; large dogs will need two tablets instead of one. These pills are smaller than many other oral medications, so if you have a hard time getting your pet to eat the medicine, try Program instead. The medicine will keep your pet happy and flea-free for months to come! Capstar and Sentry are essentially the same product. 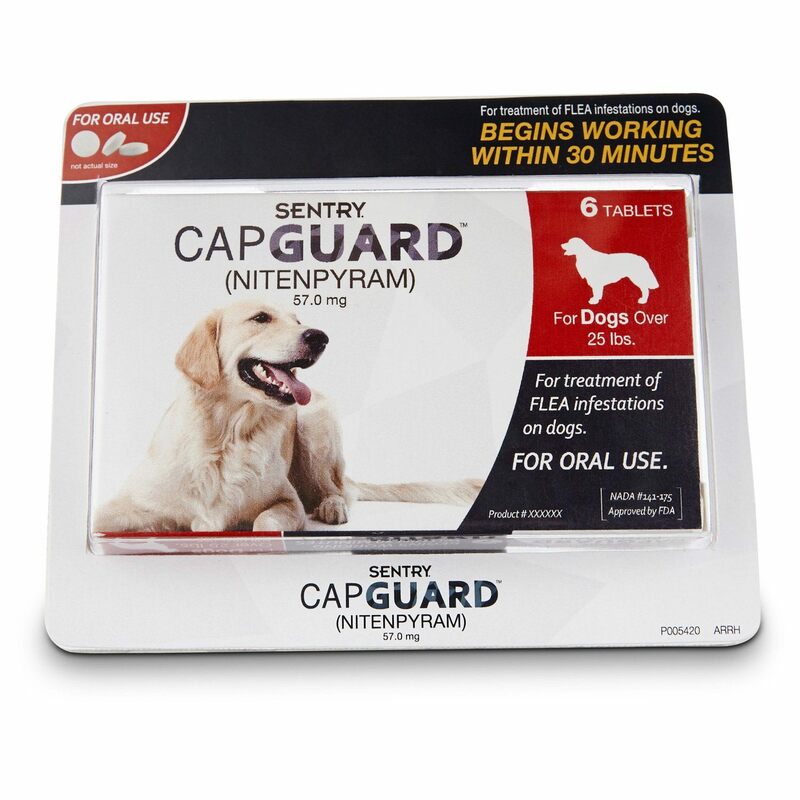 Capstar is a bit more expensive because it is considered to be the name brand version of Sentry Capguard, and with that name comes some extra cost. When this product says that it will kill all fleas on your pet within 24 hours, it means it! You will not find a living flea on your pet after this medicine is administered if you use it properly. An excellent way to use this is to combine it with the Program medicine. Capstar will kill the fleas quickly, and Program will ensure that any lingering eggs or larvae will not turn into a new infestation! Keep Capstar on hand even if you use another flea product. If you ever wind up with some living fleas, administer Capstar, and they’ll be gone in no time. The final oral flea tablet I’d like to recommend is by PetArmor. 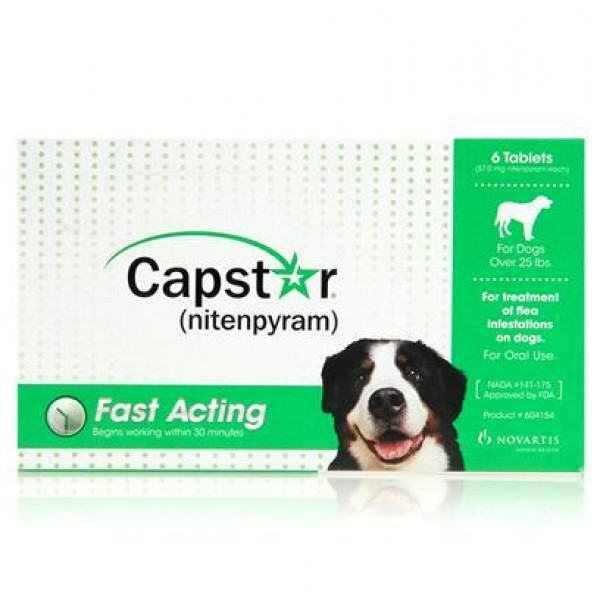 Similar to Capstar and Sentry, this product uses nitenpyram to quickly kill fleas so that they stop laying eggs, biting your pet, and getting into your home. When you need fast acting medicine, PetArmor is definitely an option. Like Sentry, this is an off-brand version of Capstar. 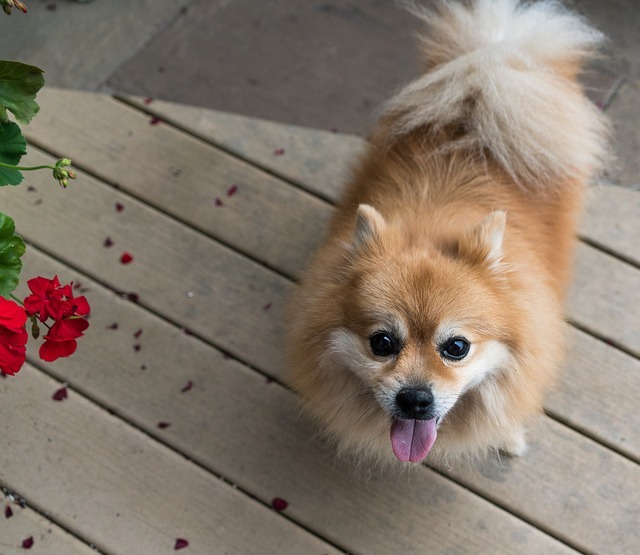 With this version, there have been some cases of pets having difficulty breathing after taking it, but there have been no concrete findings that link PetArmor to these problems. Still, I want to mention this history for concerned pet owners. I want to reiterate that no matter which product you choose, you want to act quickly. It’s best to have some of the dog flea control products on hand, particularly if you live in an area where fleas are common. You will be able to treat your dog right away if you research in advance. Always be prepared for the worst when it comes to fleas so that you can get your pet flea-free quickly and easily. With any luck, these oral flea control for dogs reviews have introduced a product you’ll love! 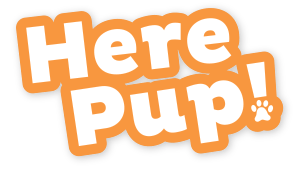 5 Best Dog Crate Options (Review) What’s Best Size-Wise?